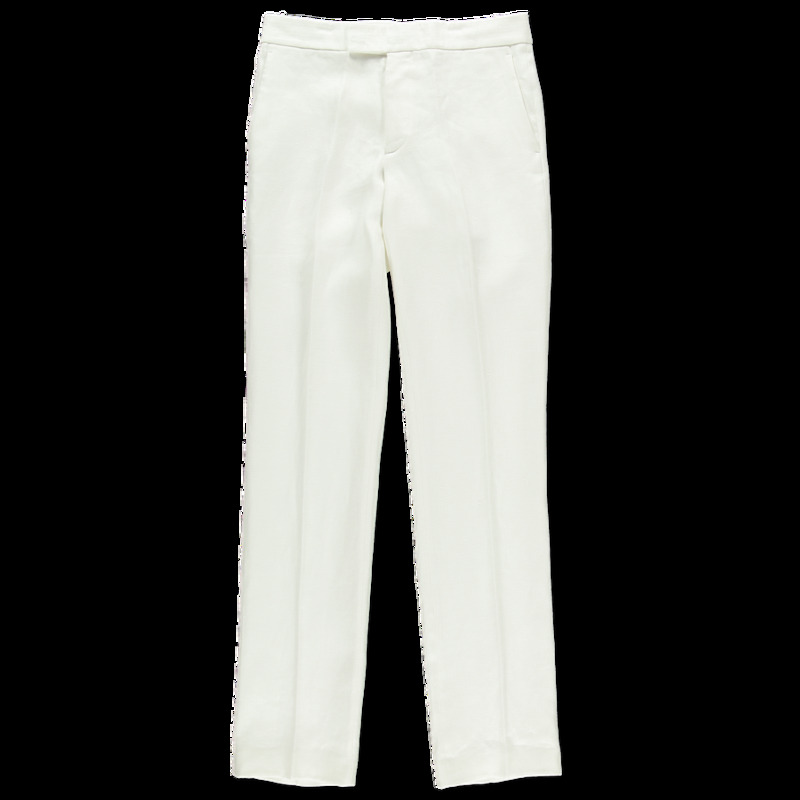 Slim Linen Trouser from Helmut Lang. 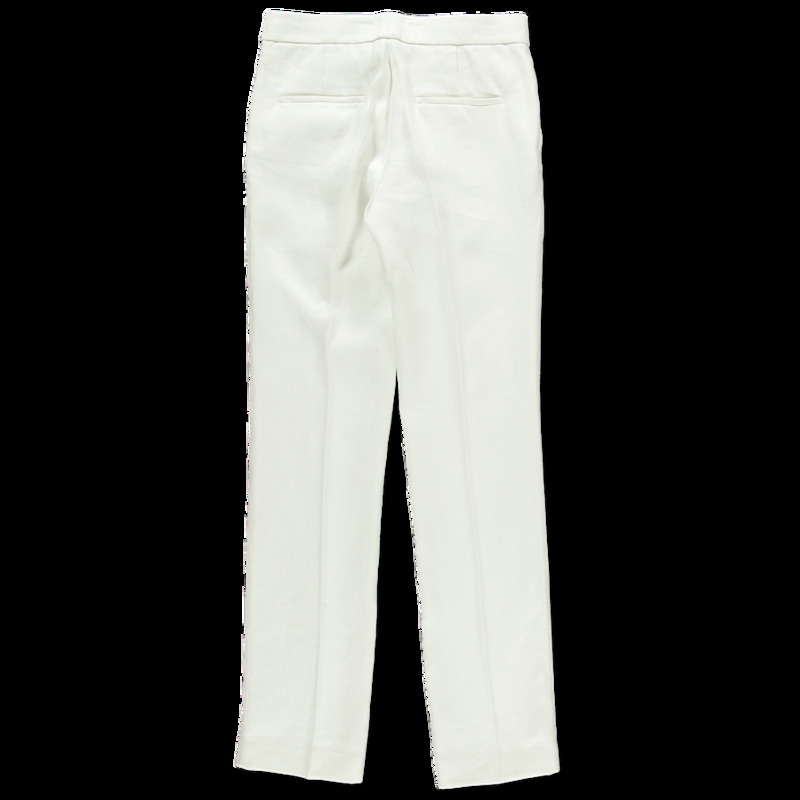 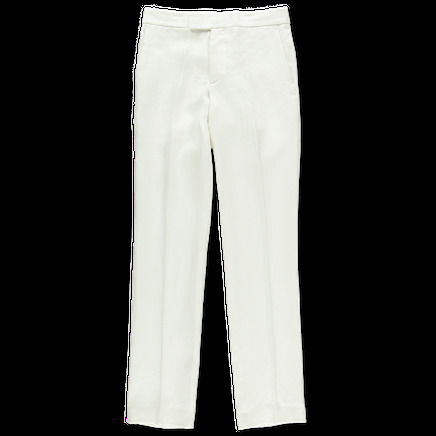 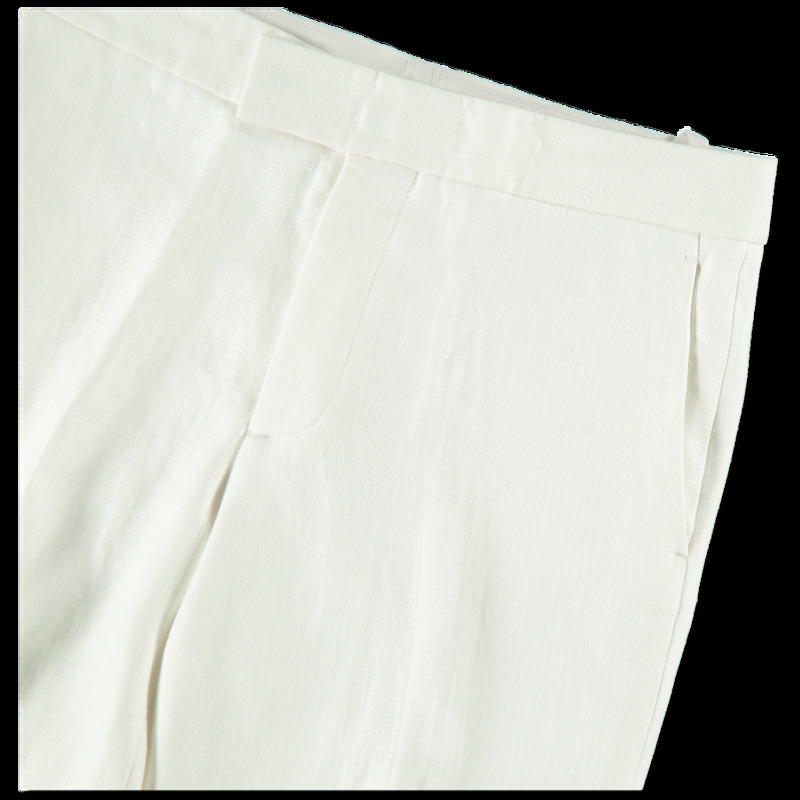 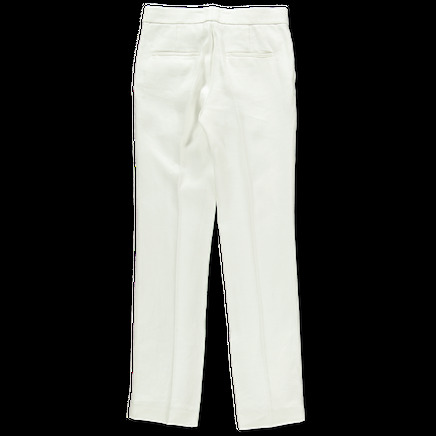 These pants features a zipper and button closing, slant side pockets and a creased slim leg. Two decorative back pockets. 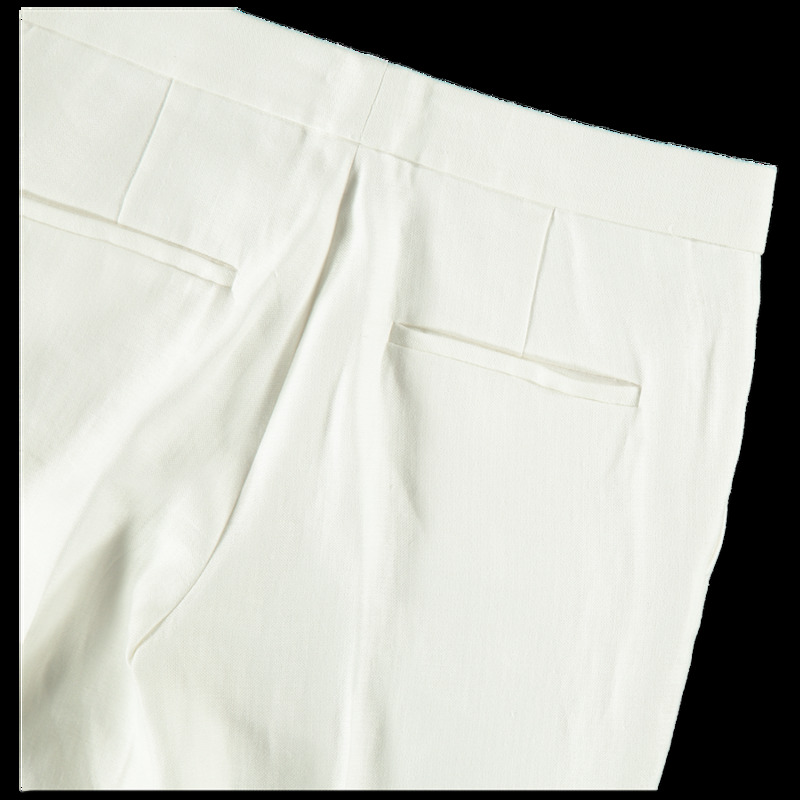 Worn here with top from Helmut Lang, sandals from A.P.C and jewelry from Lizzie Fortunato which are sold separately. Model is 179 cm tall, measures 82 cm round bust, 89 cm round hips and wears a size 4.